Cohort member William Jenkins first came to the attention of the Victorian Professions team because he is recorded as an accountant in the 1851 census. However, it quickly became apparent that we had stumbled across a family with at least seven generations of men and women whose lives were deeply intertwined with the development of one of the most important industries in the making of modern Britain: iron. The 1851 census reveals that William Jenkins (b.1825) lived at 1 Chapel Street, Merthyr Tydfil with his father Thomas Jenkins (b.1801), mother Jane (b.1799), and younger sisters Mary (b.1828), Elizabeth (b.1836), and Catherine (b.1841). Thomas is recorded as being a ‘Shore Clerk’, but his obituary shows that Thomas was the Head Teacher of Dowlais School, and this was where William was educated. 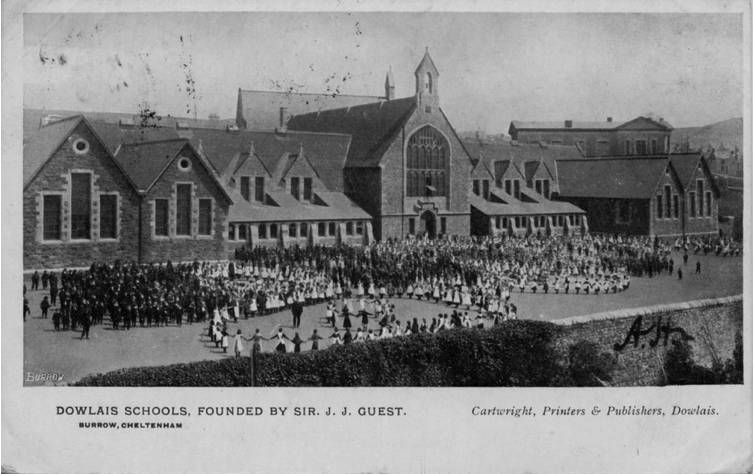 The school was founded by Sir John Guest, owner of the Dowlais Ironworks, and the buildings were designed by Sir Charles Barry, architect of the Houses of Parliament. A few months after the census was taken, William married Rosina Kirkhouse (b.1827), the youngest daughter of George Kirkhouse (b.1779 d.1842) and his wife Mary née Williams (b.1794), at Dowlais Parish Church. The Dowlais Ironworks was central to the very existence of Merthyr Tydfil, and it played a similarly important role in the lives of the Jenkins family. Not only was William employed as an accountant by the works and Thomas ran the school founded by its owner, but William’s late father-in-law George Kirkhouse had held the important positions of Chief Mineral Agent and General Manager. George was descended from the Kirkhouse-Bedlington family, a name synonymous with mining in the eighteenth and nineteenth centuries. It was George’s grandfather and great-grandfather, originally from the north-east of England, who were responsible for introducing deep-shaft mining and furnace ventilation to the coalfields of South-West Wales, innovations that made the scale of mining in Merthyr Tydfil possible. The next census reveals that by 1861 William and Rosina had welcomed their first three children, daughters Edith Rosina (b.1852), Constance Gwenhyfar (b.1856) and Bertha Mary (b.1860), and that they remained living in Merthyr Tydfil. During this time William had progressed from being an accountant to acting as the ‘Principal Clerk and Book-Keeper at the Dowlais Iron Works’, and he worked closely with the Lady Charlotte Guest and the trustees of Sir John Josiah Guest’s estate in an attempt to make the Ironworks more profitable. William’s hard work was rewarded and in 1869 he was invited by the Consett Iron Company LTD to become the General Manager of Consett Iron Works in County Durham, only a few miles from where Rosina’s Kirkhouse and Bedlington ancestors had established their engineering and mining dynasty. William, Rosina, Edith, Constance and Bertha moved to Consett Hall, along with their fourth daughter Alexandra Octavia (b.1864), and son William (b.1868), and William quickly became a well-known and popular local figure, serving on a wide range of committees, boards and commissions. That William was a talented engineer and manager is of little doubt; he led the Consett Iron Company to great financial success. However, the fluidity of his professional identity whereby he was able to move from accountant, to chief clerk, to general manager, is likely to also owe a debt to the network afforded to him through his marriage. These relationships were extended even further upon the marriage of William and Rosina’s daughter Alexandra to Penry Williams on 8th January 1890. Penry Williams (b.1866) was the son of Edward Williams (b.1826) and his wife Mary née Trick (b.1826), and although he was born in Middlesbrough, his family only moved to the north-east in 1865 when his father became general manager of Bolckow, Vaughan and Co, managing some 9,000 workers. Prior to this, the Williams family had also lived in Merthyr Tydfil, where Edward’s father Taliesin Edwards had founded a school in 1816. Taliesin was the son of Edward Williams (b.1747) better known as Iolo Morganwg, the controversial Welsh poet and literary forger, which means that Penry could therefore (allegedly!) trace his lineage through 15 generations to Gwaithfoed Fawr, Prince of Dyfed and Ceredigion. The Jenkins family lived some fifty miles north of Penry and Alexandra’s home at Pinchinthorpe Hall in Guisborough and Edward and Mary’s home Cleveland Lodge in Middlesbrough, but we know that the professional activities of Edward Williams and William Jenkins had long overlapped, for example the two men were among the six founding members of the Institute of South Wales Engineers in 1857 and served as President and Vice-President respectively. In later decades both men attended the funeral of a fellow engineer and former general manager of Dowlais, William Menelaus at Tenby, Wales in 1882. Penry was an engineer in his own right, with the 1891 census revealing that he was an ‘iron master and joint owner and manager of blast furnaces’ – all by the age of 24. He and wife Alexandra had two children, Edward (b.1891) and Bertha Mary Dorothy (b.1894), and the 1911 census shows that Penry continued to own and manage iron works. However, alongside his role as Managing Director of Linthorpe, Dinsdale Smelting Company Limited, Penry was also incredibly involved in the local community. Among many other activities, he served as a Justice of the Peace for the North Riding of Yorkshire, held the rank of Lieutenant-Colonel of the 1st North Riding Yorkshire Volunteer Artillery, and was the Vice-President of the South Bank Minor Football League in Middlesbrough. Penry also had a successful political career, representing Middlesbrough East as a Liberal Member of Parliament from 1918-1924. More on this to follow in a later blog (along with tales of his siblings, Aneurin and Mary Elizabeth, who aligned themselves with opposing sides of the Suffrage movement…). It is safe to say that Penry and Alexandra built upon the successes of their Welsh father and father-in-law, and managed to secure exactly the kind of socio-economic status that we might expect of a subsequent generation of a successful professional family. 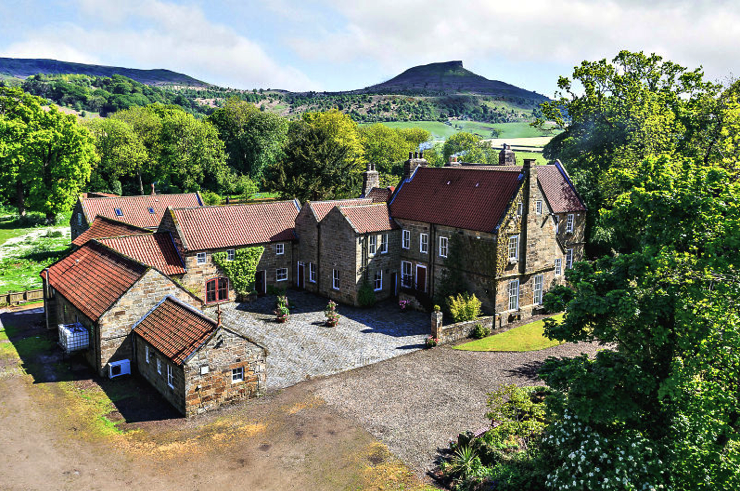 This success is reflected in their marital home, Pinchinthorpe Hall, an impressive building dating back to the 12th century currently on the market for £2.5m. Edward Williams died in June 1886 leaving an estate valued at £89,111, and William Jenkins passed away nine years later in May 1895, just a few days after his wife Rosina, leaving an estate valued at £92,522. Estimates of what these estates would be worth today are £8,670,000 and £9,545,000 respectively and the same calculator estimates that the £84,910 left by Penry Williams in 1945 would be worth £3,005,000 – clearly they were all men of considerable means, but it is interesting to note the decrease in the estate values in real terms between generations. The Bedlington – Kirkhouse – Jenkins – Williams engineering and mining dynasty was further expanded upon the marriage of Edward Williams (son of Penry and Alexandra), to Muriel Hodgson Le Neve Foster (b.1892) the youngest child of Herbert Le Neve Foster (b.1854), and Annie Margaret Le Neve Foster (b.1858) in 1915. Before his untimely death in 1904, the 1901 census return shows that Herbert was employed as a ‘Metallurgist Chemist and Owner of Limestone Quarries’. Metallurgists examine the physical reactions of metal elements, and therefore they offered a crucial service to heavy industry and their relentless search for new, more efficient, production methods. Herbert was the son of eminent photographer Peter Le Neve Foster, and one of eight brothers, six of whom were either engineers or in some way connected with engineering. Interestingly, one of the few surviving records of William Jenkins’ son William, reveal that he was also employed as a metallurgist chemist in Durham, suggesting that he might possibly have shared a professional network with his nephew-in-law. After the success of our cohort member William Jenkins, his daughter Alexandra and her husband Penry Williams, we might expect his grandchildren to go onto even greater achievements, however this does not seem to have been the case. 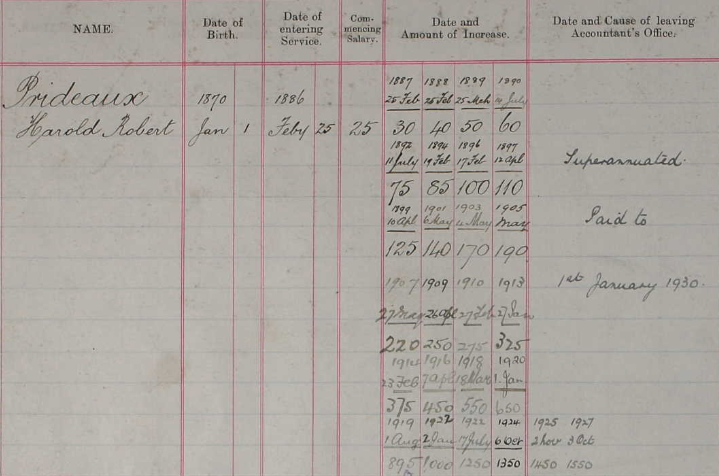 We have not yet managed to discover the occupations of Edward Williams, or Bertha Mary Dorothy’s two husbands Geoffrey Arnold Putnam and John Leslie McKinley, and although John’s father John Joseph Harrison McKinley (b.1871) is recorded in the 1911 census as ‘Blast Furnace Manager and Engineer’, none of this final generation in our project have left the same archival footprints as their forebears. Many aspects of William’s story show a very definite ‘Professional Project’ – through marriage and birth William and his family played an important role in the mining industry of Wales and the North-East for two centuries – but what happened that meant this social and economic advancement slowed? 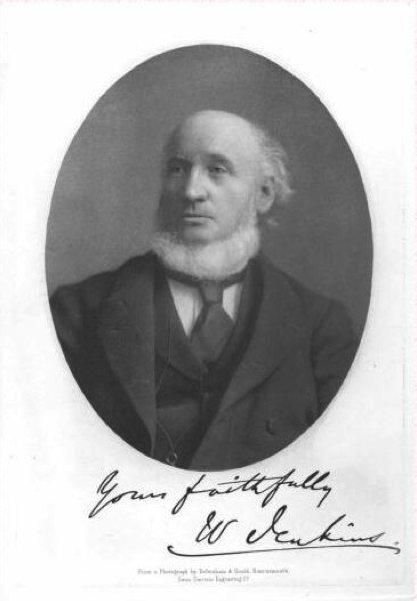 Come back to the Victorian Professions blog in the coming months and discover more about William Jenkins and his family network that spanned the breadth of Britain. Photograph of Pinchinthorpe Hall reproduced by the kind permission of Strutt and Parker (Harrogate) and the Hall’s present owners. Thanks for this guest reblog go to the author Ross Horsley who is the Librarian Manager in the Local and Family History Library and Information Service (Leeds City Council). Blanche L. Leigh was the wife of one of our professional grandsons, Percival Leigh (dentist). When coughs and colds sweep the offices of The Secret Library – as they do around the beginning of every winter – it’s not a pretty sight. But we are, after all, a hardy bunch, accustomed to the draughts and drips of a 130-year-old building, so we soldier on. 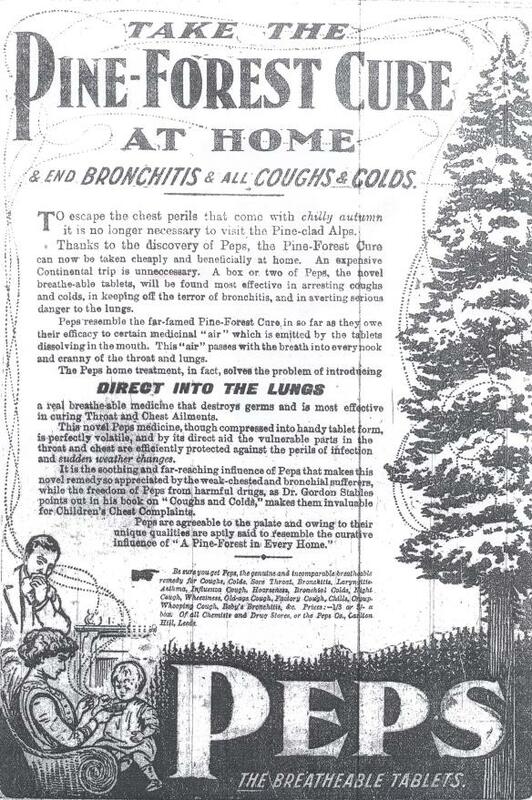 And one of our most invaluable weapons in the defence against disease is the Leeds Household Book of 1917. If you’ve ever fancied a knock-up supper of Oyster Custard, Boiled Cheese or Spiff Pudding, then this is the book for you. Indeed, it’s also for you if you’ve ever wondered what Spiff Pudding actually is. But where the volume really comes into its own is in its plethora of easy home remedies for illnesses of all kinds – all collected by editor Blanche L. Leigh. One of the trickiest issues facing the Victorian Professions team is determining how much the Professionals in our cohort and their family members were actually earning. Whilst there was a pecking order of ‘pukka’ professions, such as law, medicine and the Church, over the ‘new’ professions such as accountancy, clerks and teaching, this was not always reflected in the associated salaries. The frequently poor lot of the clergy is a common trope in nineteenth-century literature, with authors including Trollope regularly questioning how a man could be expected to support a family in a decent manner on incomes as low as £80 per annum. To give some context, historians generally agree that an income of £200 – £300 would have been necessary to secure and maintain the trappings of middle-class status. The image above is of the Great Western Railway Employment Record, and gives the name of the company’s clerks, their age, and the date that service commenced. The ledgers also provide the starting salary of the worker, but even more excitingly they detail any pay rises that the clerk was awarded thus allowing us to chart their journey through the company. Focussing on the record of Harold Robert Prideaux (b.1870) shows very clearly why knowing the salary of a professional is so important. Harold is the son of cohort member Thomas Symes Prideaux (b.1814), a chemist and engineer who was born in Devon but worked in Merthyr Tydfil, and he began work as a Clerk for the Great Western Railway on 25th February 1886 at the age of 16. Harold’s starting annual salary was £25, which is not an enormous amount when one considers that a skilled artisan of the same period might earn upwards of £100 per annum, but this marks the beginning of his training and we can see that Harold’s wage quickly increased. By the time that Harold married Hebe Alice Connor (b.1874) in 1899, he was earning £125, an amount which had risen further to £140 p.a. when they welcomed their daughter Joan in 1901. Harold must have continued to progress through the ranks at the Great Western Railway because although he is still recorded as a ‘Railway Clerk’ in the 1901 and 1911 census, his salary increases are greater than would be expected from simple annual increments. The seven years between 1920 and 1927 represent a very lucrative period for Harold, and his salary more than doubled from £650 to £1550, where it remained until his retirement in 1930 after forty-four years of service. A quick comparison of Harold’s record to others on the same page in the ledger show that although other clerks received the same pay rises in the initial stages of their career, none achieved the rapid increase in salary that Harold saw in the latter half of his time at the Great Western Railway; indeed, Frederick John Dawe who worked for the GWR as a clerk for thirty-eight years had a salary of £360 when he retired. 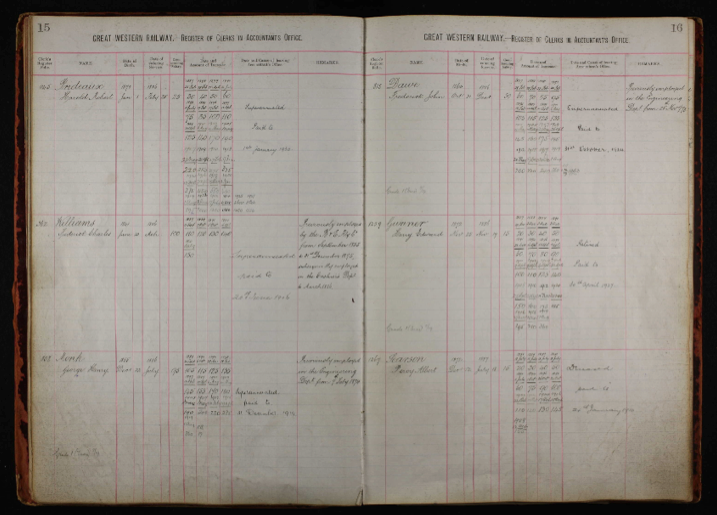 Without the staff records of the Great Western Railway, it would not have been possible to determine exactly how long Harold had worked as a clerk (he would only be picked up in the 1891, 1901 and 1911 census records), or how his career had progressed from joining the company as a 16 year old trainee to retiring age 60 in 1930. Most importantly however, this source gives the Victorian Professions team some quantitative data about the salary of clerks in the GWR during the nineteenth century which we will be able to compare against the salaries of other professions – both actual salaries, and those discussed in contemporary literature – allowing us to draw wider conclusions about the status of clerks and their place in the professional world of nineteenth-century Britain. At the beginning of the 19th century, Dundee was a small but reasonably prosperous town noted for its shipbuilding and linen production. The rapid development of the jute industry saw the population quadruple and an extraordinary amount of wealth generated for the factory owners, many of whom turned to art collecting as a way of showing off their new-found prosperity. They sought out and befriended leading painters of the day such as William McTaggart and George Paul Chalmers, commissioning them to create pictures for their ever-increasing mansions. But they also began to encourage local talent for the first time. 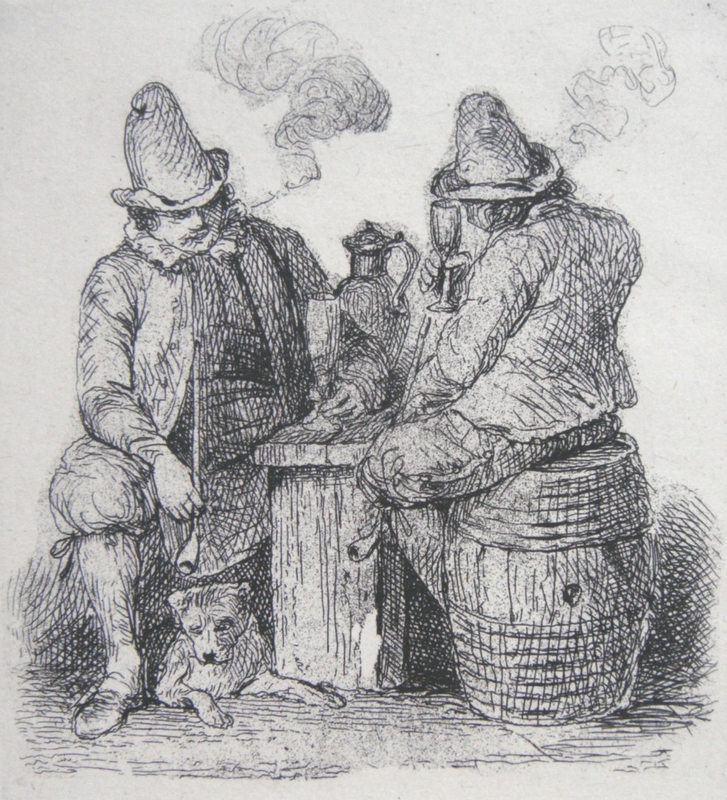 Before the mid-19th century, even the most talented Dundee artist had to travel to make a living – to Edinburgh and London in the case of the Simson brothers (George, William and David); to Italy and India for George Willison; and to Paris and Rome in the case of John Zephaniah Bell. Writing in 1906, the architect and art collector T S Robertson recalled those painters that stayed in Dundee and tried to make ends meet: “There were three artists in Dundee 50 years ago who were all portrait painters – Harwood, Stewart, and Macgillivray [sic]… Dundee in those days was not able to support three portrait painters, and although Harwood, as far as I know, never painted out of Dundee, the others occasionally had to find employment in neighbouring towns.” Of these three painters, George McGillivray is better known for his topographical paintings; John Stewart is known only through a few surviving medical portraits; but the best-known and most intriguing character is Henry Harwood. Born in Ireland in 1803, Harwood was the son of Lieutenant Coleshurst, who had retired from the Royal Navy and married an actress, changing his name to Harwood when he too took to the stage. He died when young Henry was still in infancy and his widow came to Dundee seeking work in the theatre (another increasingly popular profession at the time). Harwood soon earned a reputation as a painter, his first major commission being a monumental frieze for the Shoemakers’ Room in the Trade House, representing the procession of St Crispin (now on permanent display in The McManus: Dundee’s Art Gallery & Museum). 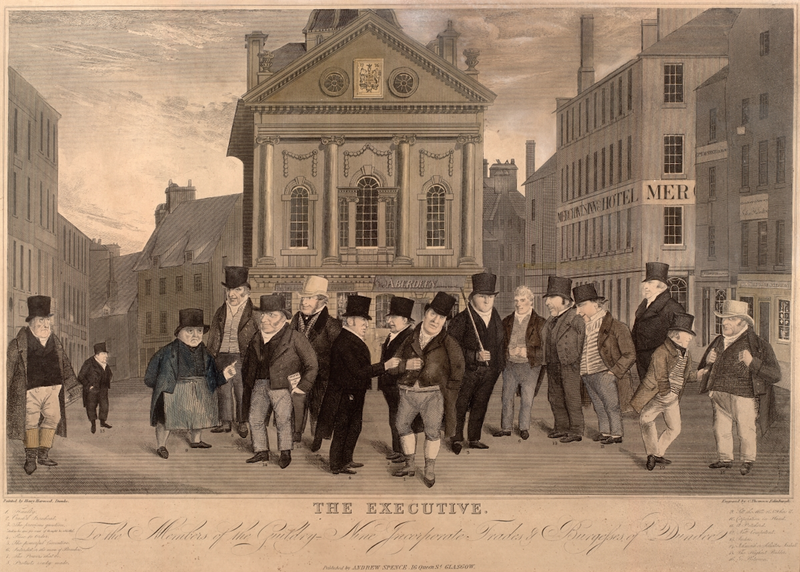 In 1821 he achieved considerable notoriety when he created his best-known work, a caricature of Dundee worthies called The Executive, which was widely reproduced as an engraving. Satirising the town’s most influential men was not an obvious route to success – indeed it had already seen the end of another artist’s career. Robert Mudie came to Dundee in 1808 as drawing master at the Academy. His interest in politics led him to join the Town Council, but when he began writing satirical accounts accusing his fellow councillors of corruption, they took a dim view of his sense of humour and he was forced to resign his post and flee to London (where among other things he became editor of the Sunday Times). Unlike Mudie, Harwood seems to have been forgiven, since he later received various commissions by members of the Town Council for more flattering portraits. These included Provosts William Lindsay and Alexander Lawson, and his clients also included the local aristocracy – Lord Kinnaird commissioned him to paint “Whistle o’er the lave o’t”, a humorous scene of a hen-pecked husband. It was later acquired by the dentist Dr John Stewart and was singled out by the Dundee Courier as a particular highlight of his extensive art collection. This magnanimous scheme was led by Robert Cowie, owner of the Theatre Royal in Castle Street. Cowie had previously worked as a painter and decorator and was known for his extensive knowledge of art. He had sat for a portrait by Harwood (as had various other theatrical figures in Dundee) and owned several other examples of the artist’s work. A group calling themselves “Robert Cowie Inst. Artists” purchased three lairs in the Eastern Cemetery, Harwood being interred in the first. As it transpired, only one other person was ever buried in one of these lairs – a decorative painter called John P Jerome who died aged 24 in 1873, leaving a widow and child. Harwood is an interesting example of the precarious nature of the artistic profession, both financially and socially. Although he struggled to maintain respectability during his lifetime, Harwood’s paintings became fashionably collectible in the decades following his death, and many are now in the city’s permanent collection. Later critics did not hesitate to sing his praises – in Dundee Celebrities of the Nineteenth Century, William Norrie described Harwood as “an artist whose presentiments were such as only genius could give.” By the end of the Victorian era, Dundee would be home to dozens of professional artists, working as painters, sculptors, printmakers and newspaper artists. The rapid growth of art education in the city, and the establishment of membership bodies such as the Graphic Arts Association, helped professionalise the art workers of Dundee – but it all came too late for Henry Harwood. Part of this text is drawn from my forthcoming book Independent and Individualist: Art in Dundee 1867-1924 (Dundee: Abertay Historical Society, 2015). Anon, ‘Dundee Artists’, Celtic Annual 1918-9, pp15-17. The City Echo May 1908. Dundee Graphic Arts Association Annual Report 1890 (Dundee Central Library, Local History Centre). A H Millar, Illustrated Catalogue of the Pictures in the Dundee Corporation Collection, Albert Institute and other Departments of the Dundee Public Libraries Committee (Dundee: 1926). William Norrie, Dundee Celebrities of the Nineteenth Century (Dundee: Wm Norrie, 1873). T S Robertson, ‘Reminiscences of Old Dundee – Its Fine Art’, Dundee Courier 17/12/1906. See the Your Paintings website at www.bbc.co.uk/yourpaintings/ for many fine examples of Harwood’s work.